Christmas comes round but once a year and as anyone who knows a DJ will agree, they are tricky people to buy presents for. Certainly buying them records or CDs can be particularly tricky as you can never truly capture someone else's actual audio tastes and more importantly whether they have that music already. Fear not, here are a few great gift ideas you can buy and pop into your loved one's Christmas stocking. If ever there was a symbol synonymous with the rave scene at its most potent then it was the builder's white dust mark with a simple letter A printed on it. It was Altern8 who took the rave scene to a whole new level along with the likes of The Prodigy and with that brought a sense of madcap humour to the dancefloor. 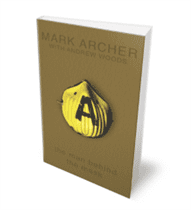 The book captures the story or Mark Archer who was half of the driving force behind Altern8 as well as the brilliant Nexus 21 act who came first. The book is an account of the hit singles, the global tours and the subsequent aftermath. 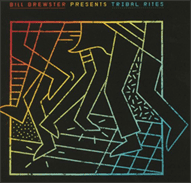 The book features contributions from 808 State, LFO, Bizarre Inc and Moby to name but a few. At present the book can only be pre-ordered and can be upgraded to a deluxe bundle or super deluxe bundle that contains a limited edition 12 inch, CD and poster. Altern8 continue to entertain fans across the world and this book is a worthy addition to their collections. 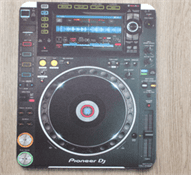 As everyone with kids appreciates, Christmas really is for the children and this gift is perfect for any child who aspires to be like their DJ mum or dad. The plate has movable knobs and levers as well as a 'tonearm' combo spoon, knife and fork. The middle of the tray and plate which is made from 100% food safe melamine features classic tracks including No Sleep till Broccoli, Like a vegan and I'll do anything for lunch (But I won't eat that). So whilst your kids tuck into their dinner they can practice their very finest cuts and scratches - fresh! If the wannabe DJ kids get a gift this year, what about the pets? If you live with a DJ and have pets, then it's likely they have to succumb to the constant four on the floor sounds permeating throughout the house. If that is the case, why not get them their own DJ gift to play along with the thumping tracks. Given there is now such a thing as beer for dogs, you shouldn't be surprised that cats get something equally cool. 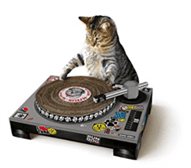 The Cat Scratching DJ Deck is a cardboard turntable shaped cat scratching mat that you put onto the platter for your feline friend to try out their own skills. As the description says, you can look at your cat doing human things rather than have to suffer watch it shred your favourite couch to shreds. Almost now as iconic as the Technic 1200, the Pioneer CDJ is the industry standard piece of equipment these days. Now you can have it close to hand whilst you check emails and social media as MostWantedCreations have turned it into a mouse mat. So if you have a DJ friend and want to get someone a nice stocking filler for less than £10 this is a perfect gift. If you are more of a beatmaker producer then there is also an Akai MPC mouse mat so you can pretend to craft the perfect loop whilst checking out Facebook. Many DJs don't have the best of diets as being nocturnal animals often means a trip to the kebab shop on the way home after delivering a set. Being on the go in the early hours often means eating what you can, with pizza being part of that not-so staple diet. 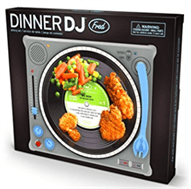 For DJs yearning for their favourite takeaway meal there is a perfect gift in the shape of a 12 inch of a different kind. 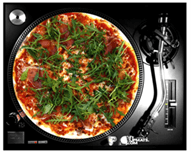 Myslipmats has lots of different slipmats for DJs with one that looks like a classic margherita with rocket salad topping. Handmade from felt, it comes in eco-packaging and looks so good that you could almost eat it.